KBS and Forsman & Bodenfors are joining forces to form a global creative collective under the Forsman & Bodenfors name. This brings together Forsman & Bodenfors’ world renowned creative pedigree and way of working with KBS’s innovative technology capabilities, media offering, and data strategy – and expands the footprint into the US, Canada, Europe, UK and Asia markets. The new Forsman & Bodenfors will embrace and expand the famed way of working that champions collaboration, flat team structures, and fluid cooperation between disciplines. KBS’s technology and data and analytics capabilities will be deployed across all offices, and so will media planning and buying, through The Media Kitchen. 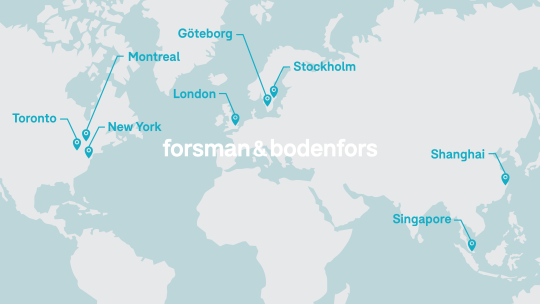 The new Forsman & Bodenfors will have around 700 employees in 8 offices: Gothenburg, New York, Stockholm, London, Toronto, Montreal, Shanghai and Singapore.